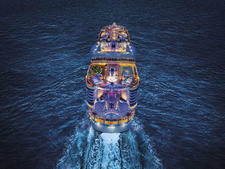 Royal Caribbean's three Freedom-class ships are among the most beloved in the line's fleet. Launched between 2007 and 2008, they were the first ships to introduce the FlowRider surf simulator to the cruise industry. FlowRiders have since become an on-ship attraction that is virtually synonymous with Royal Caribbean (though plenty of older ships do not have them). Freedom-class ships also have rock climbing walls, mini-golf courses and multiple restaurants like their bigger Oasis-class siblings, but with a capacity of near 3,600 passengers, they're much less intimidating when it comes to size and crowds. 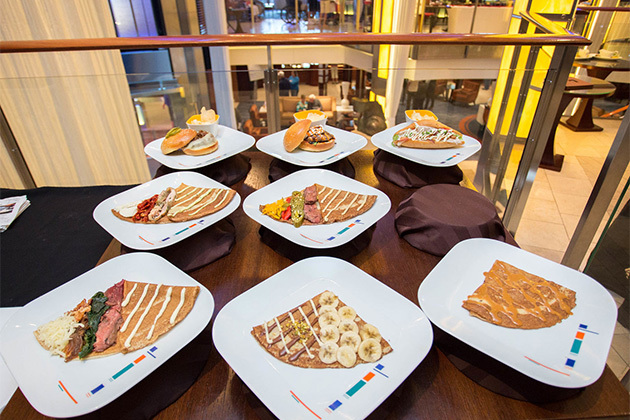 The plethora of activities, eateries and drinking establishments combined with the ships' manageable size make the Freedom-class ships some of Royal Caribbean's most popular and active choices. All Freedom-class ships feature multiple pools and whirlpools, some of which are cantilevered over the edge of the ship (meaning they extend past the ship's edge); an ice skating rink for free skating during designated hours and professional ice shows; FlowRider surf simulators on the top deck, along with a rock climbing wall and mini-golf course; the Royal Promenade, a long corridor filled with dining, drinking and shopping venues; at least five alternative dining venues; the adults-only Solarium for peaceful dips in the pool; and a 24-hour Cafe Promenade, where cruisers can grab a quick sandwich or pastry at no extra cost any time of the day. Two of the ships also have Broadway show entertainment (Independence of the Seas has "Grease" and Liberty of the Seas has "Saturday Night Fever"), with all three featuring a variety of traditional cruise-style production shows. Families will also appreciate the Freedom-class' water parks, kid's clubs and the Royal Babies & Tots Nursery, which offers for-fee babysitting for kids under 3. The differences between the three Freedom-class ships are slight, with just a handful of standout exceptions. Most notably, only Liberty of the Seas has a full-scale water park with multiple water slides; it features the Perfect Storm duo of slides as well as the Tidal Wave slide, which boomerangs riders from one side of the slide to the other. Liberty also has the Splashaway Bay aqua park for kids with smaller slides and a drenching bucket. Freedom of the Seas and Independence of the Seas have the smaller H2O Zone, which has a shallow pool, water cannons and sprayers and climbing structures. Another big difference: only Freedom of the Seas and Liberty of the Seas have the DreamWorks Experience onboard, so if you've got your heart set on meeting Shrek you'll want to skip Independence of the Seas. Freedom of the Seas also has a 3D movie theater, which the other two do not. And as mentioned above, Freedom of the Seas is the only Freedom-class ship without Broadway entertainment. 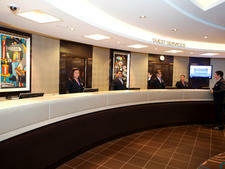 Suite passengers should note that only Liberty of the Seas has a lounge reserved exclusively for them. 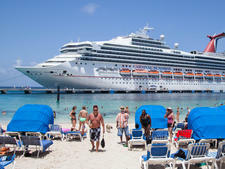 The three Freedom-class ships are best for couples, groups of friends and families who want a big ship with lots of entertainment and dining choices, but might not want to be sailing with 5,000-plus cruisers. There's also less planning required for cruisers on these ships as none of the activities or shows require reservations. Suite cruisers will find a watered-down version of the line's Royal Suite Class on all three of the Freedom-class ships; if you want a luxe suite experience, you'll need to go for one of the line's newer ships. Fares for cruises on these ships, while not the highest, are also not at the lowest end of the line's pricing.